Obsolete computers, old mobile phones, electronic parts…. It cost companies lots of time and money to get rid of them…. Did you know old the electronic equipment of your company could give you extra value, for less of the time you have to deal with it? This site shows you how! 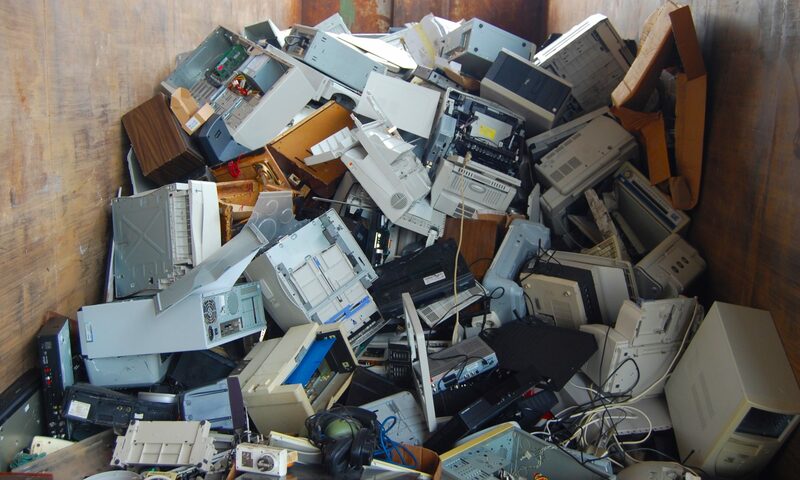 This site is about helping your company to send of its obsolete equipment. Discarding this equipment takes your company time and money. In the last years great opportunities were developed to help your company get more value for its obsolete equipment. This site gives you information how to collect electronics in your company and where to send it to. In many cases this is re-use of equipment or recycling. Your business is a source for new products or new materials; Business as a Source; BusiSource! BusiSource project is supported by EIT RawMaterials. EIT RawMaterials, initiated and funded by the EIT (European Institute of Innovation and Technology), a body of the European Union, is the largest and strongest consortium in the raw materials sector worldwide. Its vision is to develop raw materials into a major strength for Europe. Its mission is to boost competitiveness, growth and attractiveness of the European raw materials sector via radical innovation, new educational approaches and guided entrepreneurship. This site is helpful for companies that have electronic equipment or parts that is obsolete due to new equipment, or any other reason. Offices, production sites, builders, demolishers, producers of electronic equipment …., this site could help any company with obsolete electronic equipment. Find out here if your company has taken all opportunities.